Ivar the Boneless was a semi-legendary Viking warrior. Check out this biography to know about his birthday, childhood, family life, achievements and fun facts about him. Ivar the Boneless Ragnarsson was a semi-legendary Viking warrior who invaded a significant portion of Ireland and England in the 9th century. 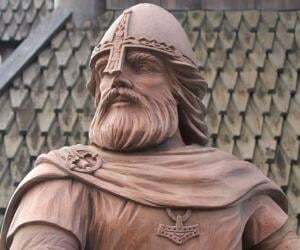 According to Viking Age traditional literature, he was the leader of the massive Norse army that invaded Britain in 865. 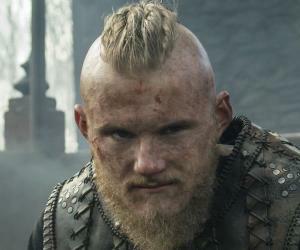 He is believed to be the oldest son of Ragnar Lothbrok, the near-mythical Danish and Swedish Viking hero and ruler, and his third wife, Aslaug. Some sagas claim that Ivar was born with certain physical deformities but as he grew up alongside his brothers and half-brothers, he quickly proved himself to be the most intelligent and ruthless among them. As an adult, he led his siblings to raids on Zealand, Reidgotaland, Gotland, Öland and all the minor islands. After his half-siblings were killed by a king of Sweden, he led an attack on the country. Following the death of his father, he and his siblings amassed a large army to invade England and punish the man responsible, Ælla, the king of Northumbria. They went on to defeat Ælla and subjected him to the execution technique of “blood eagle.” Later, he also fought battles against the Kingdoms of Mercia and Wessex. 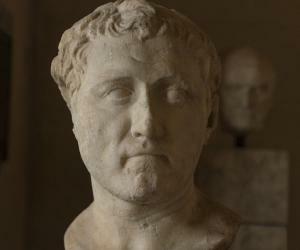 Many historians regard him identical to Imar, the founder of Uí Ímair dynasty. Ivar’s father, Ragnar Lothbrok, is one of the principal figures of Viking Age Old Norse poetry and sagas and a significant amount of traditional literature has been dedicated to his life and adventures. A self-proclaimed descendent of Odin, he was the leader of multiple Viking raids on Francia and Anglo-Saxon England during the 9th century. 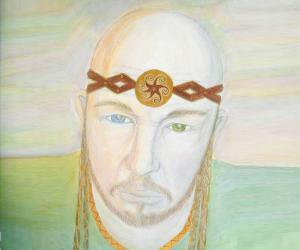 However, there is not much evidence that supports the notion that Ragnar actually existed. Ragnar became the king of a large part of Scandinavia after the death of his father, Sigurd Hring, in 804. He built a reputation for himself for being an able chieftain and cunning naval commander. In 845, he led about 5,000 Vikings (120 ships) to an invasion of Francia. The Vikings eventually besieged Paris. At the time, Francia was ruled by Charles the Bald, who amassed a much smaller army in response. Paris eventually fell but the Vikings agreed to leave the city after they were paid 7,000 French livres (2,570 kilograms (83,000 ozt)) of silver and gold in ransom. 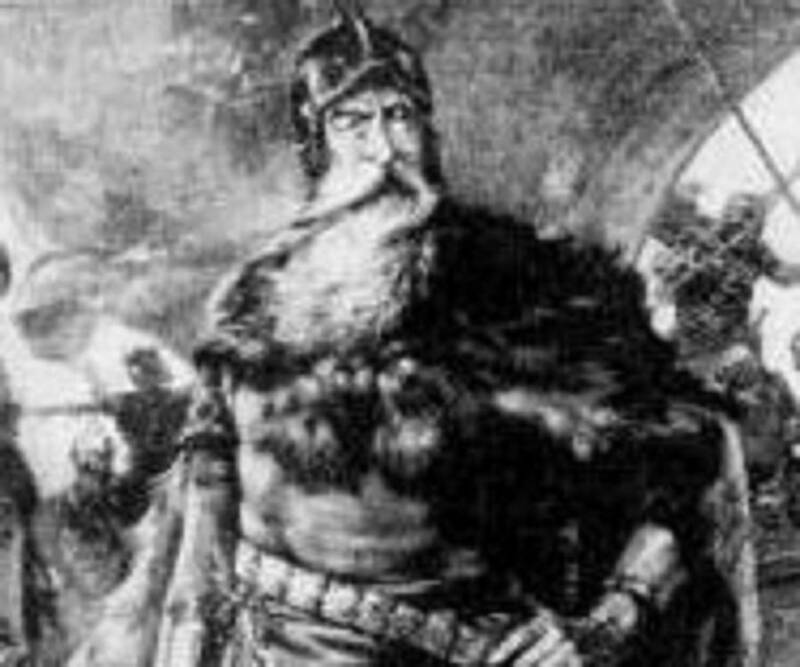 Ragnar married three women over the course of his life. Aslaug, his third and last wife, is also an important figure in traditional literature. She was the daughter of Sigurd, the hero who slew the dragon Fafnir, and the shieldmaiden Brynhildr. Captivated by her beauty, Ragnar wanted to know if she was intelligent as well. He asked her to approach him neither dressed nor undressed, neither fasting nor eating, and neither alone nor in company. Aslaug appeared before him wearing a net, biting an onion, and in the company of a dog. Her resourcefulness surprised Ragnar and he asked her to marry him. However, she initially declined, asking him to perform his duties in Norway first. They eventually married and had several children together, including Ivar. His brothers are Hvitserk, Ubbe, Björn Ironside, and Sigurd Snake-in-the-Eye. Some sagas claim there were two more: Rognvald and Halfdan Ragnarsson. There are several theories on why Ivar was nicknamed “The Boneless”. Some sagas report that he had weak bones, whereas ‘The Tale of Ragnar’s Sons’ associates the nickname with him being impotent. In the latter case, the nickname is only figurative. Certain genetic disorders could have been the cause of his condition, if he did have physical deformities. Osteogenesis imperfecta, a genetic disorder that is colloquially known as the “brittle bone disease”, can make an affected person look like they have an imperfect bone structure. Ehlers Danlos, a genetic condition that affects skin, joints, and blood vessels, could have been a possibility as well. ‘The Tale of Ragnar Lodbrok’ claims that Ivar was born with the condition because of a curse. Aslaug was a Völva, a female practitioner of magic divination and prophesy in Norse mythology. When her husband came back from a raid in England, she declared that they should consummate their marriage only after a waiting period of three days. However, Ragnar could not tolerate further separation and did not listen to her. Ivar’s weak bones were the result of this impatience. ‘The Tale of Ragnar’s Sons’ gives one account of Ivar’s life. He grew up alongside his siblings, probably in Sweden, and garnered a reputation for being as fierce and ruthless as his father. Ivar was by far the most intelligent son of Ragnar. As he was also the oldest, he naturally became their leader. The sagas praise him for his wisdom, cunningness, and mastery of strategy and tactics in battle. He led his brothers to the conquests of Zealand, Reidgotaland (Jutland), Gotland, Öland and all the small islands. They subsequently established Lejre in Zealand as the centre of their power. According to some sources, Ivar led the Sheppey expedition of 855 that took control of an isle near the mouth of the River Thames. He was also apparently a companion of Olaf the White, the Viking sea-king of Dublin. Irish sources claim that Ivar and Olaf ruled over Dublin together and led their army to several battles in Ireland in the 850s. They also forged temporary alliances with the likes of Cerball mac Dúnlainge, the king of Ossory in south-east Ireland. They also raided the county of Meath in the early 860s. Ivar and his siblings’ increasing fame made their father wary and jealous. He appointed Eysteinn Beli as the king of Sweden and instructed him not to let his sons take control of the kingdom. He then left Scandinavia for a campaign in the Baltic region. During this period, Ivar’s half-brothers, Eiríkr and Agnar, arrived in Sweden and were killed. When the brothers heard of it, they invaded Sweden along with their mother. After a great battle, Eysteinn Beli was defeated and killed. When the news of Eysteinn Beli’s death reached Ragnar, he became even more infuriated and envious. He thought that he had to prove that he was still better than all his sons. He subsequently decided to invade England with only two knarrs (merchant ships). After landing in England, he did find some initial success. However, Ælla, the king of Northumbria, assembled a successful defence and defeated him. Ragnar was captured and thrown into a snake pit. 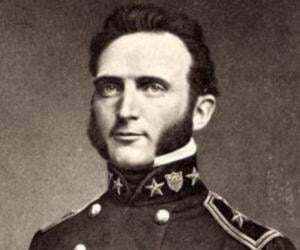 As he died, he apparently said, “How the young pigs would squeal if they knew what the old boar suffers!" In 865, Ivar and his brothers amassed a huge army and invaded England, seeking retribution for their father’s death. At the time, England was primarily divided into seven petty Anglo-Saxon kingdoms, collectively known as the Anglo-Saxon Heptarchy. These kingdoms were East Anglia, Essex, Kent, Mercia, Northumbria, Sussex, and Wessex. In the initial battle, Ivar did not achieve much success and came to the realisation that the English army was too powerful. He subsequently reached out to Ælla for reconciliation. The truce between Ælla and Ivar had two main conditions. Ivar asked for himself only the land that he could cover with the hide of an ox. In return, he had to swear that he would never attack Ælla again. The sagas provide details on what apparently occurred next. Ivar decided to cut the ox’s hide into numerous thin strips and covered a large castle-like structure with them. An older saga claims that this large fortress was actually York, while a newer saga states that it was actually London. In the following months, Ivar became increasingly popular in England and instructed his brothers to conduct another attack. Their massive army was dubbed the “Great Heathen Army” by Anglo-Saxon scholars. In late 866, they reached Northumbria and captured York, its capital. However, Ælla somehow managed to escape. He was eventually taken captive after a battle in March 867 and the brothers subjected him to the blood eagle. Ivar appointed a man named Egbert as the king of Northumbria. He then set his sights on Nottingham in Mercia. The Mercian king at the time was Burgred, who sent envoys to Wessex, asking King Aethelred I for help. Realising the severity of the situation, King Aethelred I and his brother Alfred (the future Alfred the Great) amassed an army and came to Mercia to lay siege to Nottingham. Ivar decided to pull back his forces without engaging the English and returned to York. About a year later, in 869, Ivar and his brother Ubba led the Vikings back to East Anglia, where the army had originally landed. According to tradition, they executed East Anglian king Edmund after he refused to renounce Christianity. After 870, Ivar basically vanishes from the historical records. The sagas are also silent about what he did following his conquest of East Anglia. The Vikings would go on to attempt an unsuccessful conquest of Wessex but Ivar was not with them. According to Irish tradition, after leaving the Viking army, Ivar apparently renewed his alliance with Olaf and together they set out to plunder Scotland. In 870, they conquered and destroyed Dumbarton, the capital of the Strathclyde kingdom, carrying off much plunder and slaves back to Ireland. By then, Ivar had come to be known as “the king of the Norsemen in all Ireland and England”. According to the Anglo-Saxon chronicler Æthelweard, Ivar passed away in 870. However, Irish accounts state that his death occurred in 873. In 1686, a Scandinavian burial mound was found by a farm labourer named Thomas Walker at Repton in Derbyshire. More than 250 partial skeletons have been since discovered around the mound, implying that this was the resting place of a man of very high status. Some scholars believe that this was Ivar. The sagas claim that Ivar instructed his men to bury him in a place that could be exploited as an easy target by an invading army and foretold that if his orders were followed, the enemies of the land would have little success. This apparently held true until the time of William I of England and the Norman Conquest. William I allegedly dug up Ivar’s corpse and burned it on a pyre before continuing his campaign. In the mid-late 9th century, Imar was a Viking king who ruled over parts of both Ireland and Scotland and established the Uí Ímair dynasty that had almost exclusive control over the Irish Sea for the following several centuries. Many scholars believe Ivar and Imar were the same person. In History Channel’s period drama ‘Vikings’, the adult Ivar is portrayed by Danish actor Alex Høgh Andersen. The younger version of the character was played by James Quinn Markey in season four.